The MOSSAR Color Guard is shown here attending the 2011 University of Phoenix St. Louis Campus Graduation. The 2011 commencement ceremonies for the University of Phoenix St. Louis Campus took place on June 25, 2011 in St. Charles, MO. 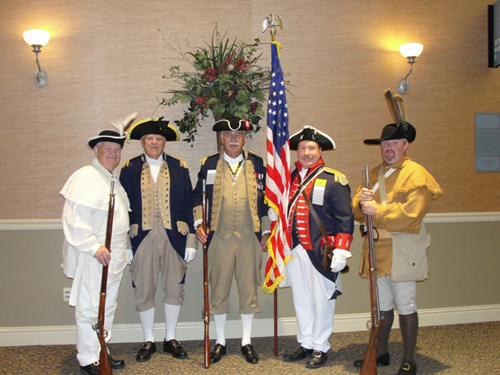 Photo: (L - R) Militia Commander Bill Groth, Eastern Commander Keith Brown, Compatriot Charles Lilly, Compatriot Jim Jackson and Compatriot Jonathan Hunt.